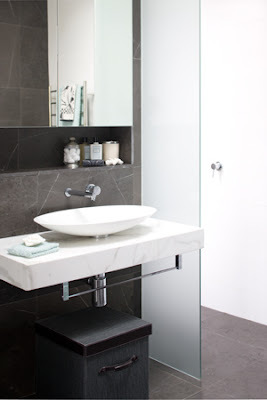 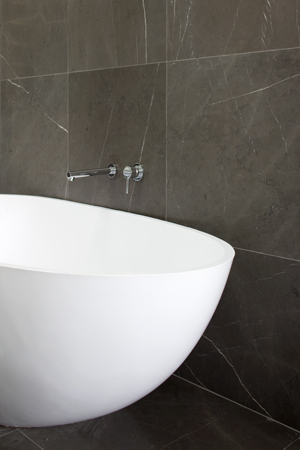 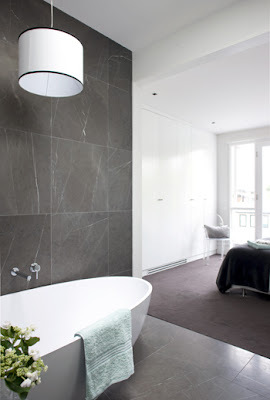 The beauty of this compact ensuite lies in its elegant charcoal and white scheme and clever trade-offs which helped the owners make the most of their budget. 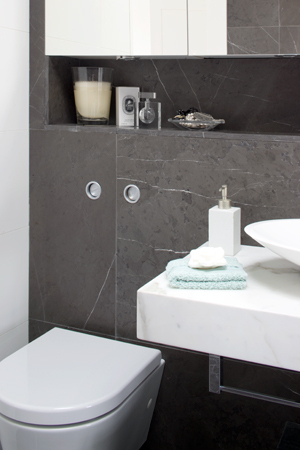 The beauty of this compact ensuite lies in its elegant charcoal and white scheme and clever trade-offs which helped the owners make the most of their budget. 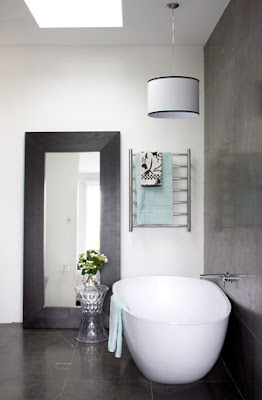 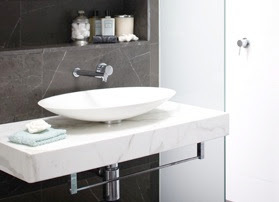 Designer pieces, such as the Minosa Ovo basin, are complemented with budget-savvy buys such as the bath, found on eBay, and the Ikea Mongstad mirror, which also helps bounce light back into the space. 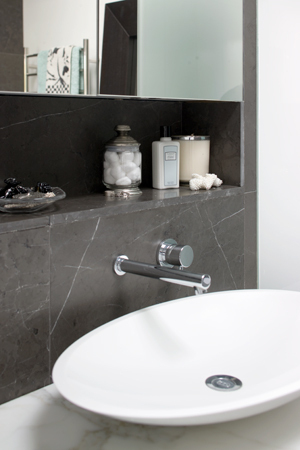 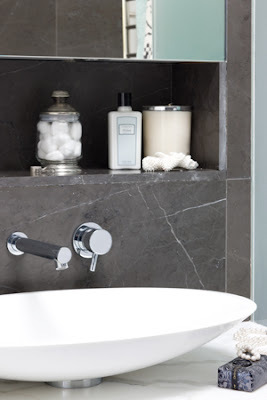 Wall-mounted tapware - Scala from Reece - keeps the small vanity, created from a Calcutta marble offcut, free from clutter, while the oversized Pietra Grey limestone tiles make a stunning feature wall.